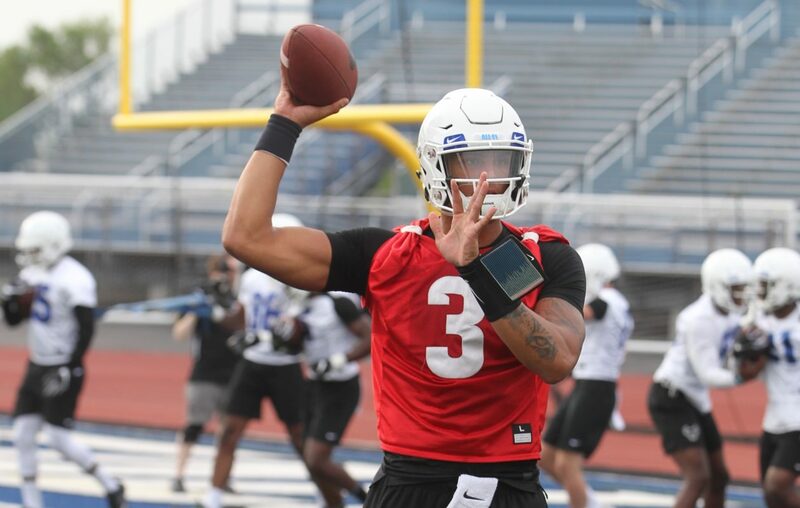 University at Buffalo quarterback Tyree Jackson and St. Francis product Jake Dolegala are among those taking part in the Bills' local pro day Friday. Local pro days are a way for teams to look at players in their home area -- either players who attend college or reside in the area are allowed to participate. There is no limit to how many players a team can invite and the players attending do not count against a team's 30 pre-draft visits. UB defensive end Chuck Harris and cornerback Cam Lewis also are expected to take part. Harris and Lewis worked out for the Los Angeles Chargers earlier this week and Harris also had a workout with the San Francisco 49ers. UB wide receiver George Rushing also was expected to attend. Dolegala is a record-setting quarterback from Central Connecticut State who also attended UB's pro day last month. UB wide receiver Anthony Johnson was not expected to attend.